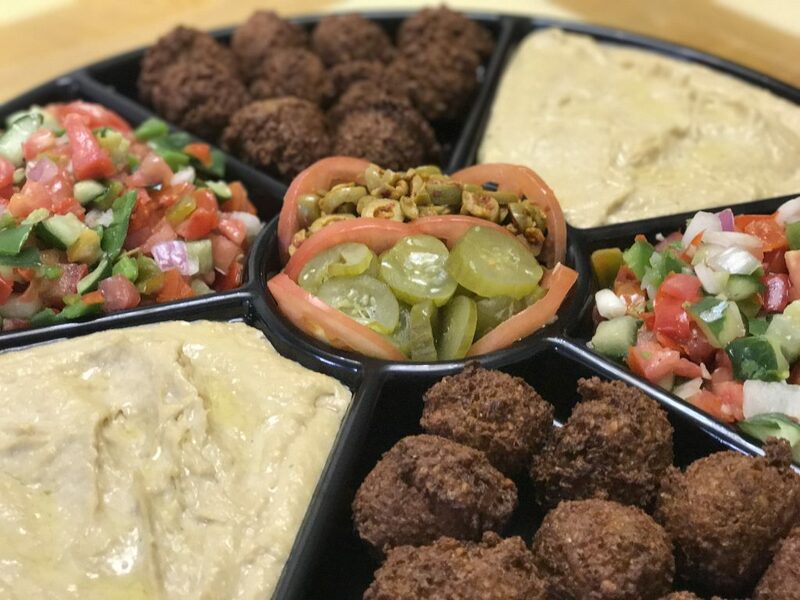 Jezreel Valley Catering is a new Midtown Manhattan kosher catering service and room, located on W36th between 5th & 6th Aves, offering delivery of kosher platters across Manhattan. The Jezreel Valley Catering room can seat up to 40 people and can be rented out weekdays for up to 3.5 hours at $395. 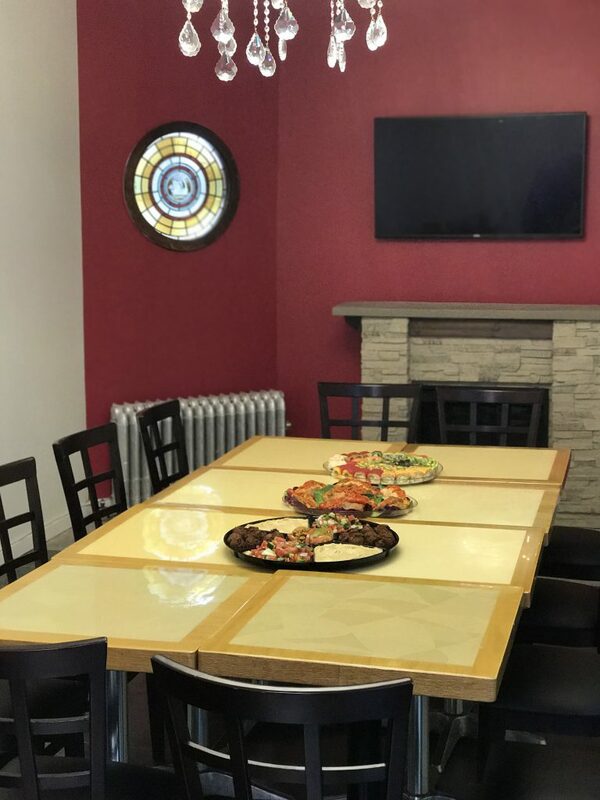 The room is available to host business meetings, sheva brachot, parties, and other events. The room comes equipped with a TV that can be used for watching live television or can be synced to showcase content from your computer. This is meant to be an affordable alternative to renting a room at a high priced restaurant or catering hall in Manhattan. Food for the catering room can be ordered directly from Jezreel Valley’s dairy (Cholov Yisroel) or meat (Glatt Kosher) menus, or, customers may bring in their own prepared catered food from another kosher eatery (which there are many of nearby). 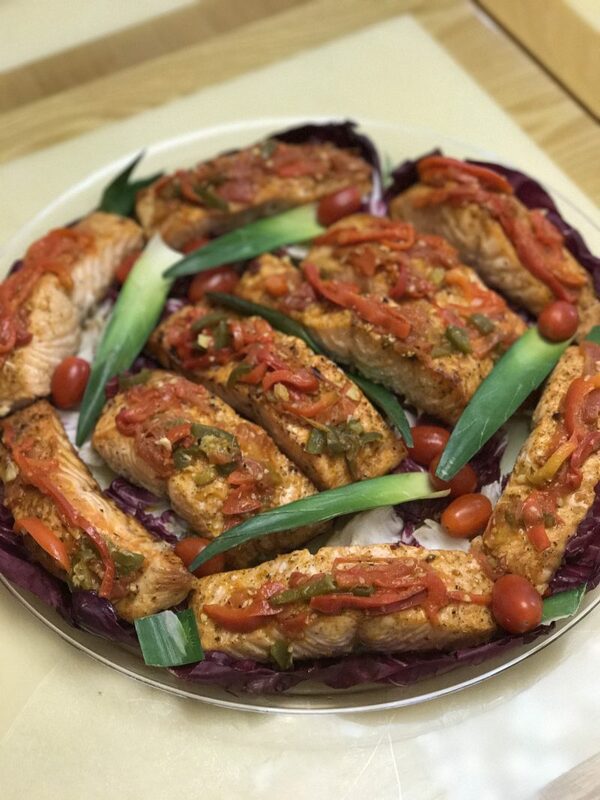 Jezreel Valley’s catering service provides their customers with affordable options for either Glatt Kosher or Cholov Yisroel platters that can be delivered to areas anywhere in Manhattan, and beyond. 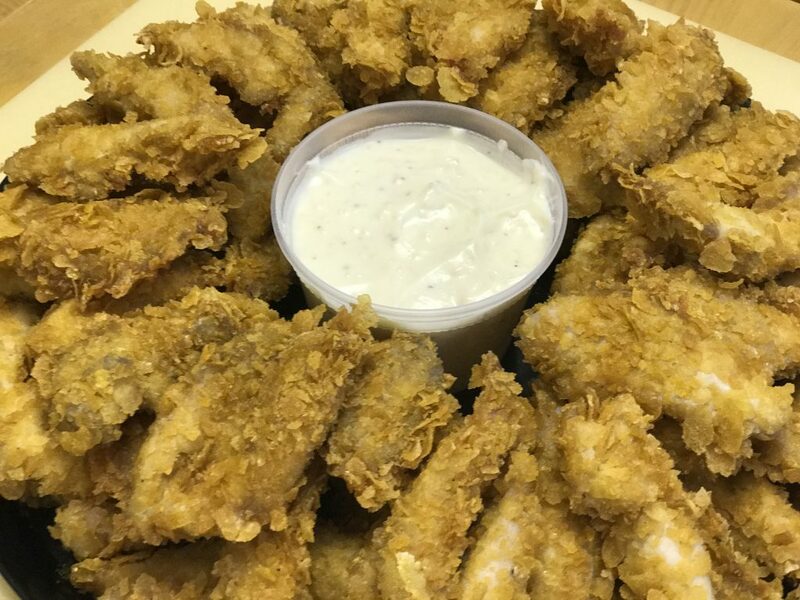 Meat platters include Balsamic Chicken, Pepper Steak, Corn Flake Chicken Strips, Pretzel Coated Chicken Strips, various types of prepared Salmon, Chicken Poppers, Sesame Noodles, salads, and more. Dairy platters include assorted wraps (tuna, falafel, etc. ), a variety of pastas, hummus & falafel combo platters, assorted bagel & cheese platters, and more. 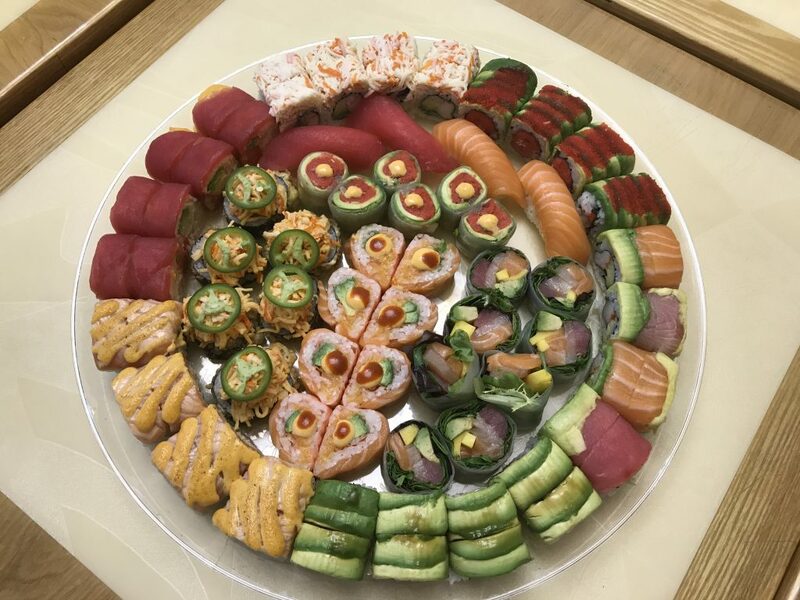 Specialty sushi platters are available with either option. All fish, sushi & dairy food is under the supervision of OK Kosher and also Chasiddishe Udvari supervision, and is both Cholov Yisroel and Pas Yisroel. All meat is Glatt and under the supervision of the Vaad Hakashrut of the 5 Towns and Far Rockaway, or the Vaad Hakashrut of Riverdale. All food is delivered sealed with kosher tape.